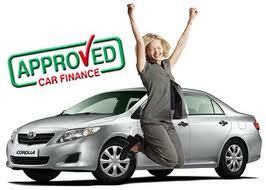 Fact is, they are all one and the same except if you wanted a 1-hour car loan quick cash. This is then called as car impounding loan. Here, auto owners leave the car, keys and a few basic documents and the private financier who happens to be the only one offering this type of loan will confirm OR / CR records with the LTO. Upon confirmation of clean records, the vehicle owner can get his or her cash proceeds in as fast as 1 hour only. Vehicle must be fully paid / owned. This means that it is not in any such way under mortgage payment plan whether with a bank or any financing company. Vehicle may be paid at least 80% or anywhere between or near the said value or may be between or near the 80% fair market value assessment. This will depend upon the owner’s initial down payment or balance from the bank or financing company. This type is usually called as car loan takeout or car refinancing but today it has evolved into other terms like “pasalo” or assume balance car loan or car loan payoff balance. Second hand cars that are fully paid or bought cash may also fall to qualify for the OR CR sangla car loan. Here, a pre-owned or pre-loved or used or second hand vehicle may be pawned in a pawnshop called lender or lending company. Qualification applies whether the vehicle ORCR is under the new owner’s name or not (if with deed of sale or deed of absolute sale). In the latter case, additional documents may be required by the lending company like notarized deed of sale and 2 valid IDs of previous owner duly signed 3 times and originally. The above mentioned ways to determine qualification to apply for the OR CR sangla is based from yours truly’s own experience. As a professional loan consultant for one of the top lending companies in the Philippines today, i’ve come to learn almost all the ins and outs of car loan today including if you wanted to acquire or buy new or second hand car. With this qualification and knowledge, I would also like to reiterate that there is another way of pawning your fully owned or under mortgage vehicle. This is thru the car impounding program. This is current the fastest way to convert your auto OR / CR into cash. If you are interested to apply for any of the above mentioned car collateral loans, please don’t hesitate to call or message me here – 0917-5019245 (Globe) / 0939-9269335 (Smart) / 0932-8725532 (Sun) and 542-7015 (PLDT Landline). Every loan application has a not so hidden secret in order to maximize the approval. One of my expertise is teaching clients how to do it right using only basic resources and a little knowledge and its practical application for this type of loan. Below are only some of my personal tips but you can always read it from here – http://www.samcasuncad.com/personal/new-toyota-car-financing/. 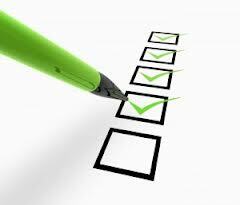 If you have an active and high balance bank account, be sure to submit it together with your basic documentary requirements. Having a stable paying job is not a guarantee you will get an approval but it will absolutely influence your approval chance compared for freelancers and unstable income. 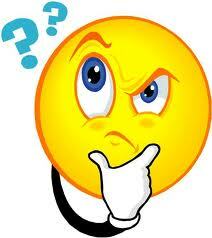 A checking account is not necessary but will help especially if you are out to loan 500K and above. Background checking and residence location will matter. Some lending companies consider negative areas as non qualified borrowers. Although you are applying for a collateral loan, it is still best if you have another residence to declare with valid proof of billing. A coborrower is not a must but will practically help in convincing the car lending provider if you are a borrower with unstable income or low to medium income. 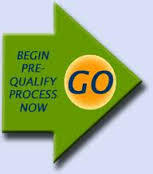 A very good loan agent will play the biggest role in maximizing your loan application approval. Get approved of a much higher loan amount as possible. Then decide later which amount you need. Never approach a bank for your car financing if you know you have a bad credit record or negative C-Map (credit map). Ask for a consultation first from a qualified professional agent. « How to Get Cheap Car Insurance in the Philippines?